Tiangong 1, China's first space lab, will make an uncontrolled descent to Earth sometime before April after the country lost control of the craft due to its rapidly decaying orbit, per The Guardian. The reentry into Earth's atmosphere should burn up most of the craft, but 220-pound pieces of debris could reach Earth's surface. 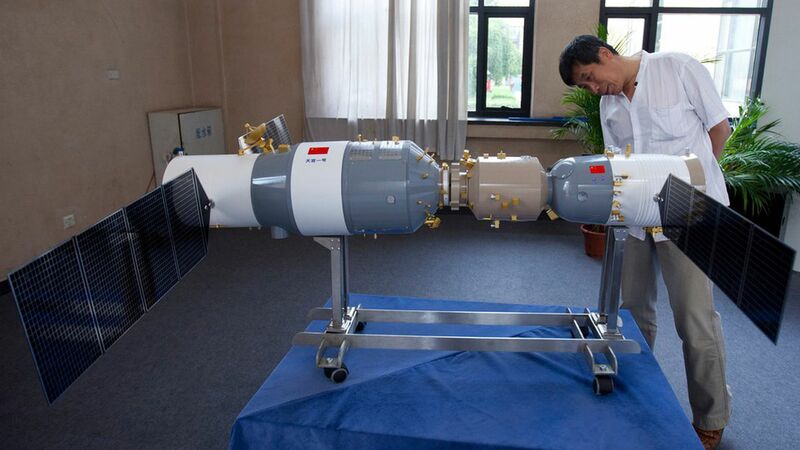 China has told the United Nations the chances of the lab wreaking any havoc on the ground are "very low," but that it would closely monitor the craft's reentry. Think back: It's not the first uncontrolled reentry of a large spacecraft, as Skylab broke up over Australia in 1979. And no word if Taco Bell will set up a target for Tiangong 1 to offer free tacos to every American — like it did with Mir's descent in 2001.